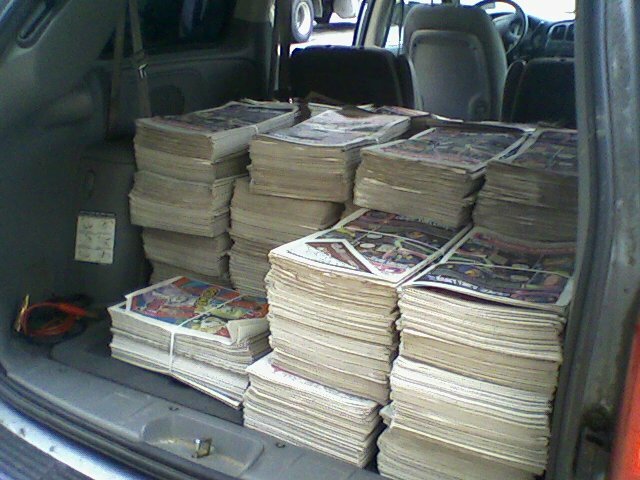 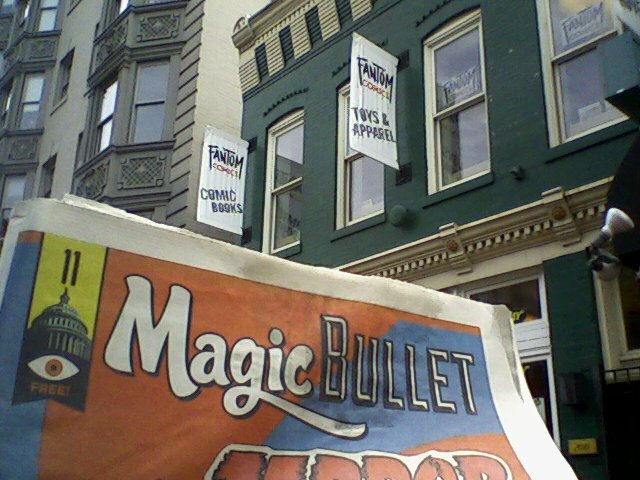 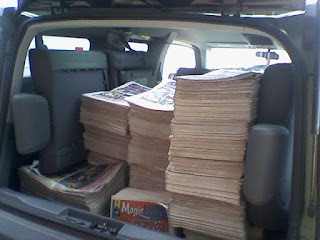 MAGIC BULLET #11 is officially out and on the streets! 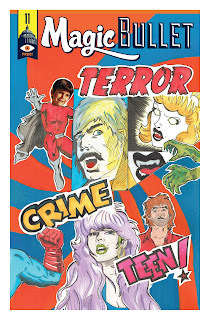 Here is the cover; photos of the bundles being loaded into the cars at the printers; and the official self-portraits taken outside the comic shops, as photographic proof that distribution has begun. 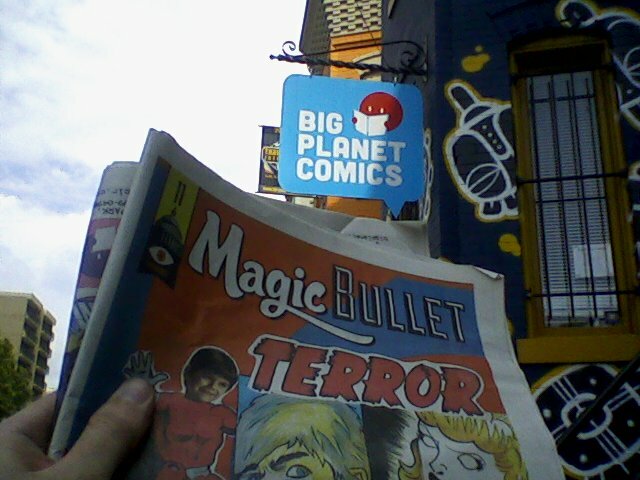 Look for it in comic shops, as well as coffee shops, record stores, book stores, and other cool places around town. 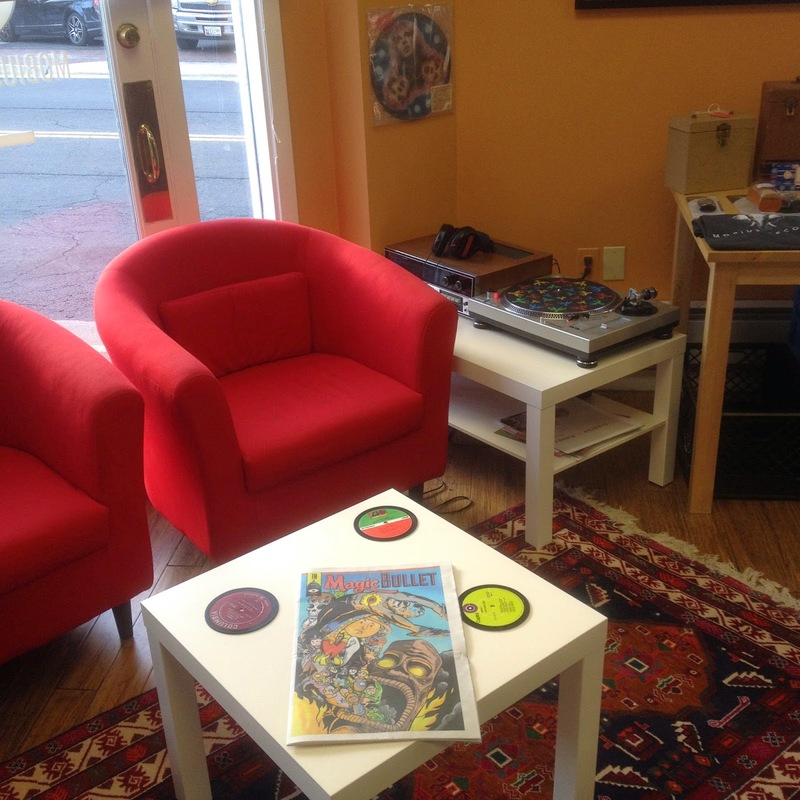 We'll begin posting a list of such places on this site, but you can also see pics of the ongoing distribution on our twitter feed @magicbulletdc. 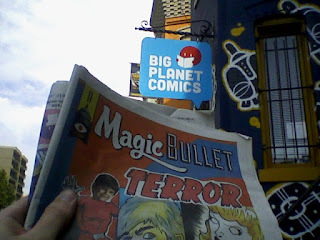 Big thanks to all the artists who made great comics; our advertisers; and all the stores that let us plop down copies.